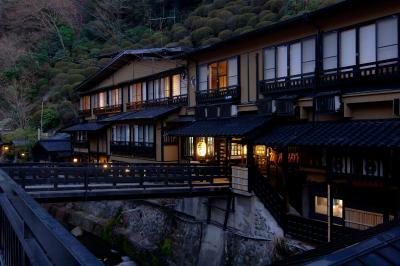 Lock in a great price for Kurokawa Onsen Yama no Yado Shinmeikan – rated 9.4 by recent guests! 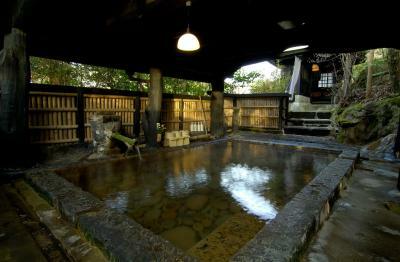 I like outdoor private onsen very much. 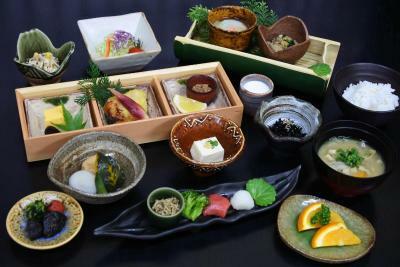 Dinner and Breakfast in japanese style was very delicious.I was exciting when dish come one by one. Room is very comfortable. Amazing ryokan onsen experience, contender for best ryokan I've ever been to. Dinner and breakfast were fantastic, and the open air onsen was very nice. Great wifi for remote resort town. 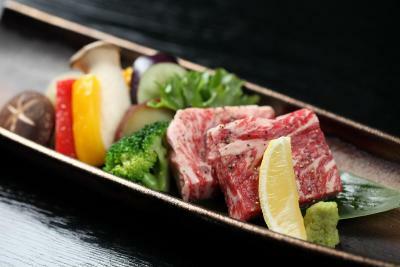 Very centrally located in Kurokawa near the best shops. They were very helpful handling car parking and provided valet for the car, it was ready and waiting for us at checkout. I was travelling with Japanese speakers which made everything easier, if you only speak English you might find communication more challenging but it will be worth it. The open air onsen is very nice. 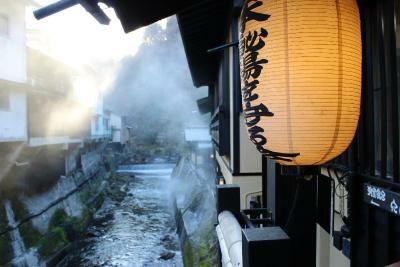 You can see the river view while bathing in the onsen. Location is not far from the bus station, picking up service also available upon appointment. The dinner and breakfast are nice. The location right in the middle of the village cannot be beat. Dinner served in our room and breakfast served in the dining room were both plentiful, artiscally prsented and delicious! So many courses to enjoy eating and viewing! We stayed here for one night on our Kyushu honeymoon trip and their service was so warm and wonderful! When they found out we were on our honeymoon, they treated us to "seki-han" (red rice to bless our marriage-Japanese style) which was such a sweet surprise. Their futon in the tatami rooms are super comfortable and silky. Dinner was also delicious and used fresh ingredients with great staff service. Every things are so amazing, too perfect place to take a break. The staff were very helpful, friendly, and very patient with my broken Japanese. Every dish at dinner was explained, every question was answered, shops around town were recommended and some baths were suggested to me out of the many in town. 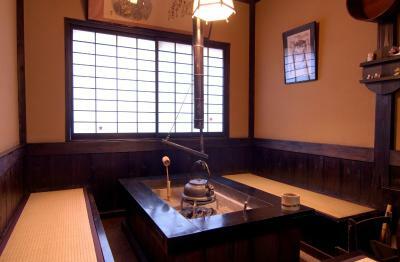 Shinmeikan itself has around 5 baths, some of which are not available to non-guests. 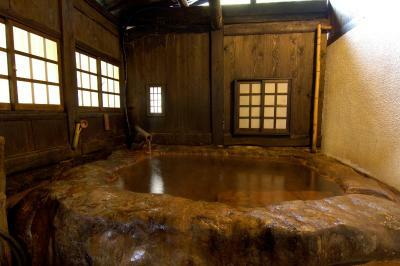 I used two of them; I particularly liked the outdoor mixed bath, Iwato no Yu. Even though it's just a 5 minute walk to the bus stop, they drove me there at the end of my stay. My room was big with its own toilet, a water boiler with tea, cold water, big windows, and nice lighting. Over a one night stay, I was given two different yukata and two different tea sets. It was absolutely wonderful. Absolutely beautiful. The facilities are great. Lots of hot spring options. Onsen at the hotel plus access to the 2 other sister hotels onsens as well was a bonus. The staff as all very helpful and friendly. Free parking. 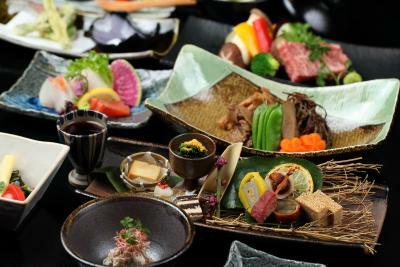 Kurokawa Onsen Yama no Yado Shinmeikan This rating is a reflection of how the property compares to the industry standard when it comes to price, facilities and services available. It's based on a self-evaluation by the property. Use this rating to help choose your stay! 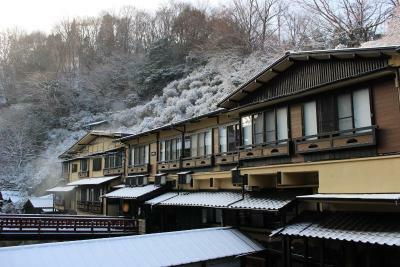 Kurokawa Onsen Yama no Yado Shinmeikan features 5 hot-spring baths, including a 100 feet long cave bath. 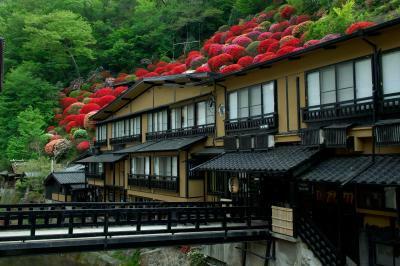 Located in the center of Kurokawa hot-spring area, it offers Japanese accommodations and free WiFi at the lobby. Free shuttle is available to/from Ogunimachi Yu Station and bus stop Kurokawa. 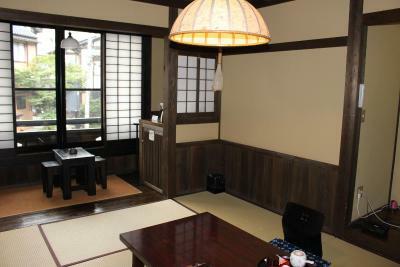 Tranquil rooms have a tatami (woven-straw) floor, a flat-screen TV and a seating area. All rooms come with a fridge and a toilet, while bathing facilities are shared. 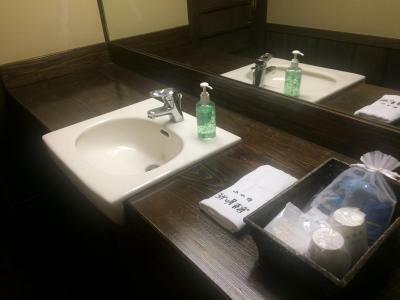 Facilities include drinks vending machines and free parking. 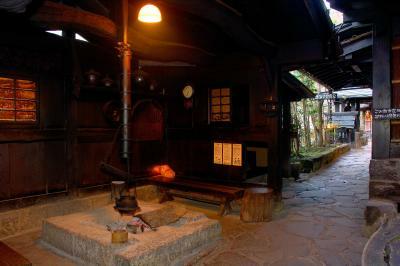 Kurokawa Onsen Yama no Yado Shinmeikan is a 40-minute drive from JR Aso Train Station. 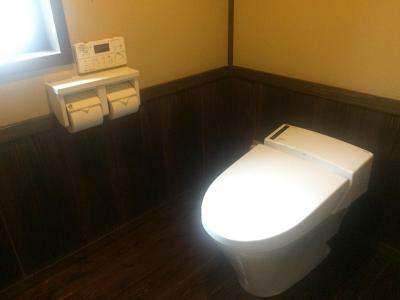 This property is also rated for the best value in Minamioguni! Guests are getting more for their money when compared to other properties in this city. When would you like to stay at Kurokawa Onsen Yama no Yado Shinmeikan? House Rules Kurokawa Onsen Yama no Yado Shinmeikan takes special requests – add in the next step! Kurokawa Onsen Yama no Yado Shinmeikan accepts these cards and reserves the right to temporarily hold an amount prior to arrival. Front road is small, driving may need to pay more attention. The food wasn’t our favorite. 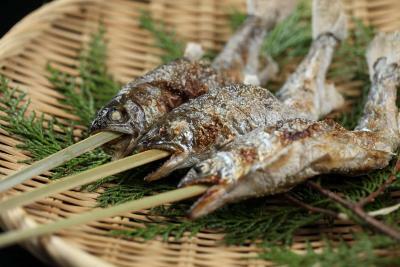 They had horse as an option...wish they had some less exotic Japanese food options for meals. We pretty much eat anything but even this was a bit extreme for us. The breakfast and dinner were very good and delicious. The staff were very friendly. 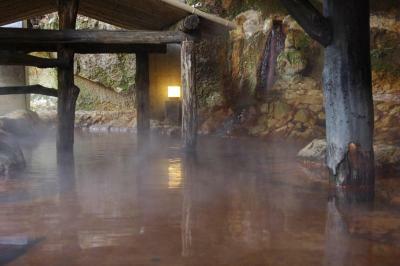 The cave hotspring was very special. The family hotspring needs to be reserved, but good for one family. No private bathroom in the room. But that was already stated in the booking condition. The open onsen for family use was closed on the day of our stay. 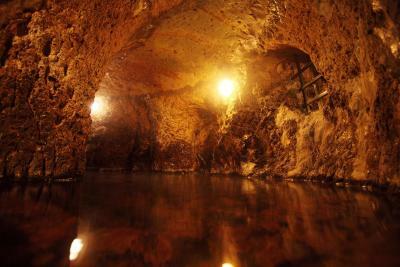 Seemed that cave baths and mixed baths were easily accessible by outsiders, causing a sense of insecurity to roykan guests and particularly to ladies. By the way, none of the ladies would dare to use the mixed baths. A beautifully wood-built traditional Japanese roykan situated by a little river and right in the main street of the tranquil small town. Dinner was an unforgettable experience being exceptionally presented in a tasteful dining room. Toilet in the room was very modern with all automatic functions. Staff were very polite and helpful. Self service free coffee was supplied 24 hours a day in the lobby. Fast free wifi was available in the room and throughout the roykan.